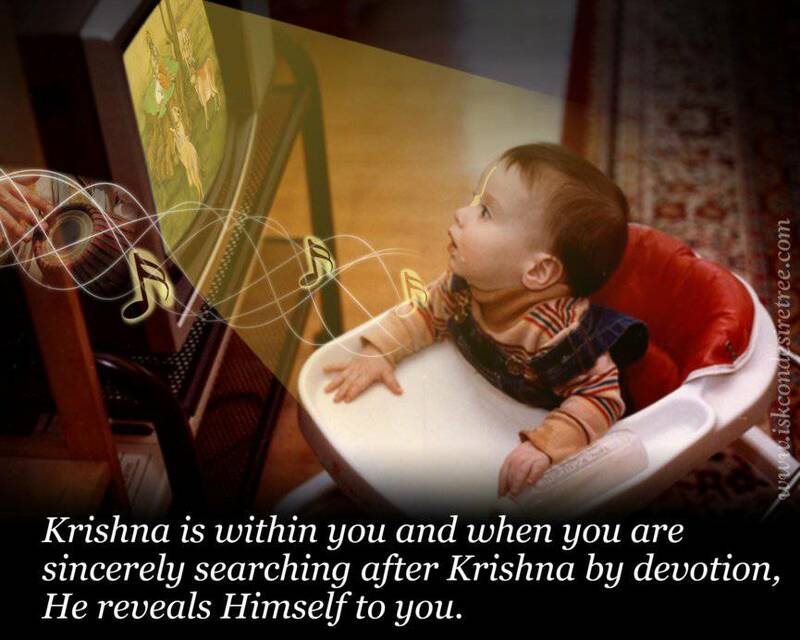 Krishna is within you and when you are sincerely searching after Krishna by devotion, He reveals Himself to you. Hare Krishna, Hare Krishna, Krishna Krishna, Hare Hare/ Hare Rama, Hare Rama, Rama Rama, Hare Hare. 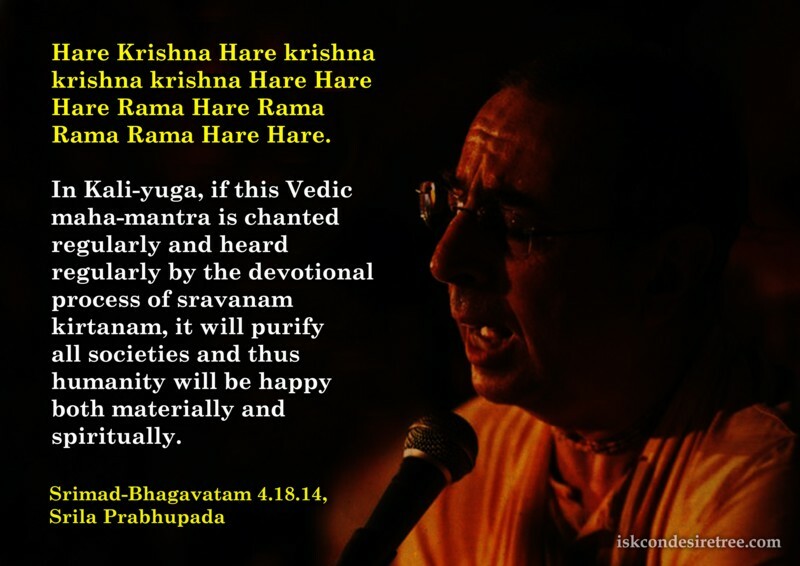 In Kali-yuga, if this Vedic maha-mantra is chanted regularly and heard regularly by the devotional process of shravanam kirtanam, it will purify all societies, and thus humanity will be happy both materially and spiritually. 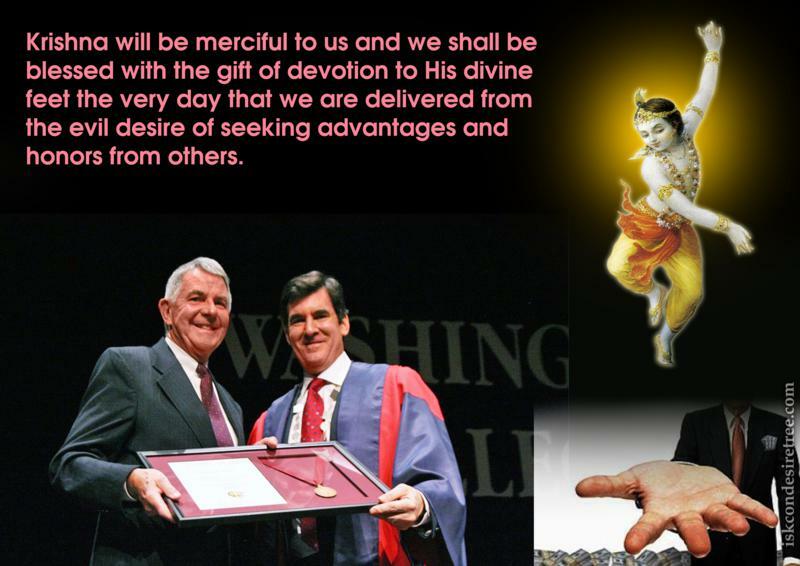 Krishna will be merciful to us and we shall be blessed with the gift of devotion to His divine feet the very day that we are delivered from the evil desire of seeking advantages and honors from others. 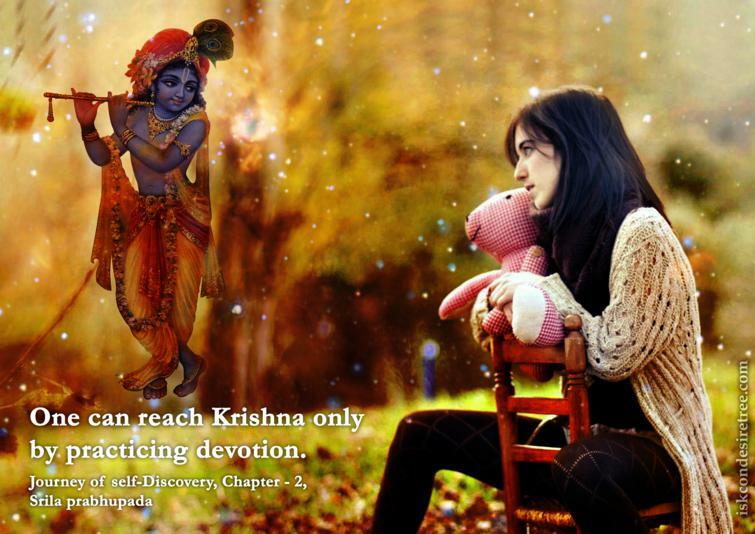 When transcendental devotional service, by which love for Krishna is attained is executed by the senses, it is called Saadhana Bhakti, or the regulative discharge of devotional service. Such devotion eternally exists within the heart of every living entity. The awakening of this eternal devotion is the potentiality of devotional service in practice. — Sri Caitanya Caritamrta, Madhya Lila, 22.105.